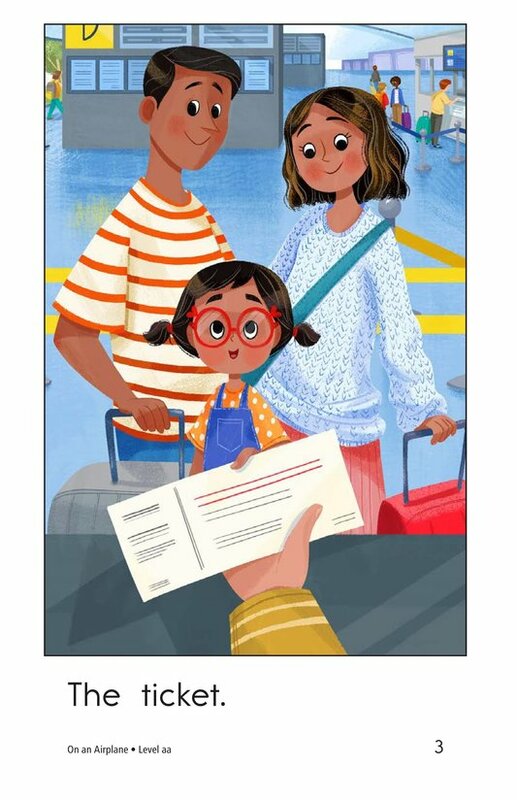 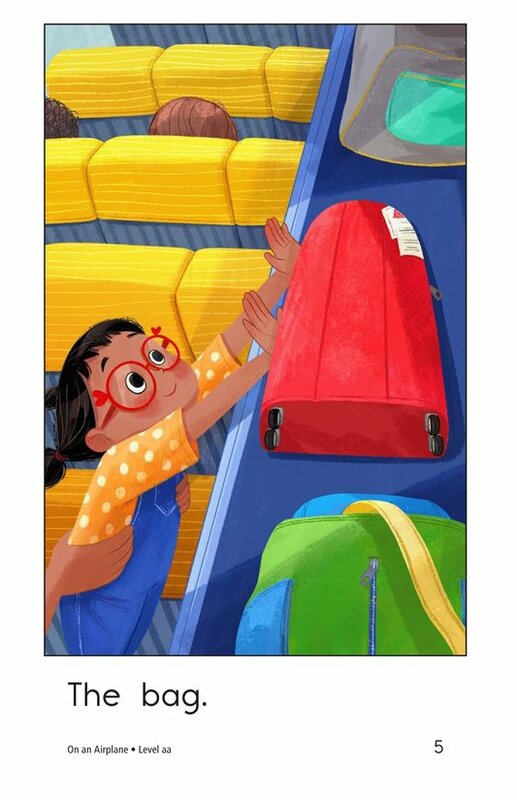 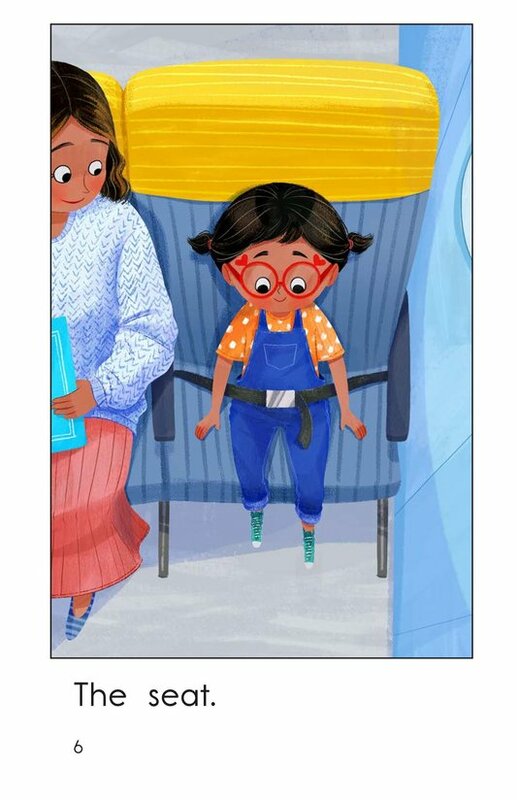 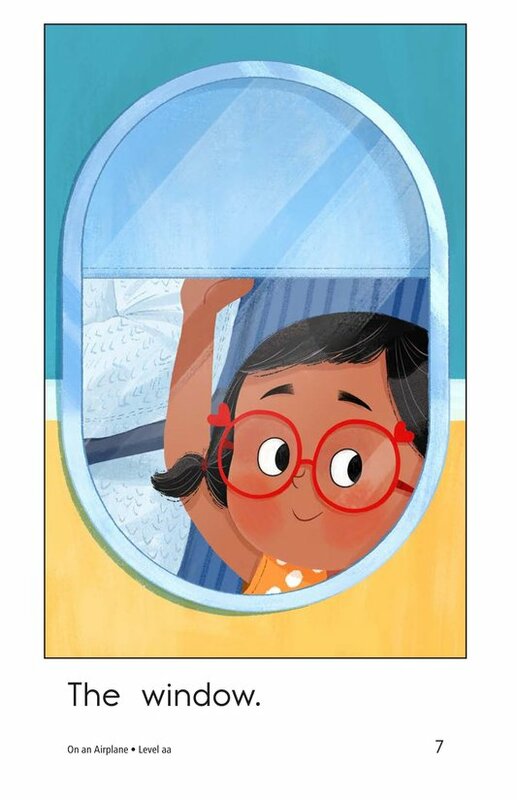 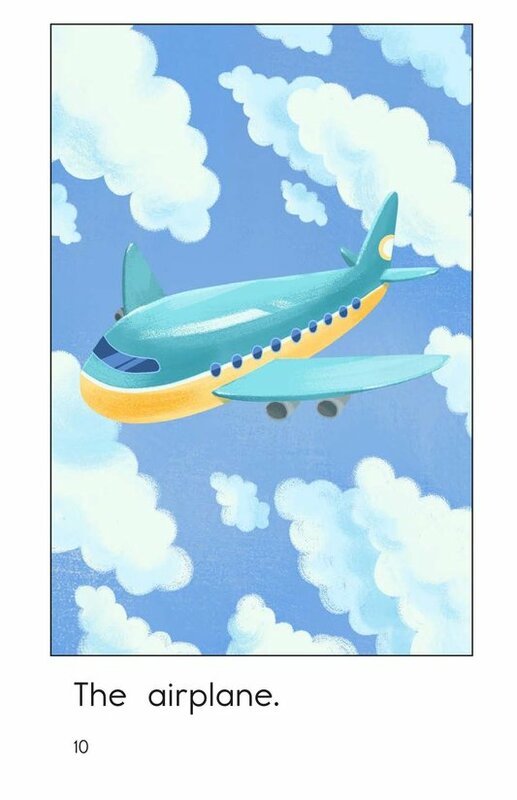 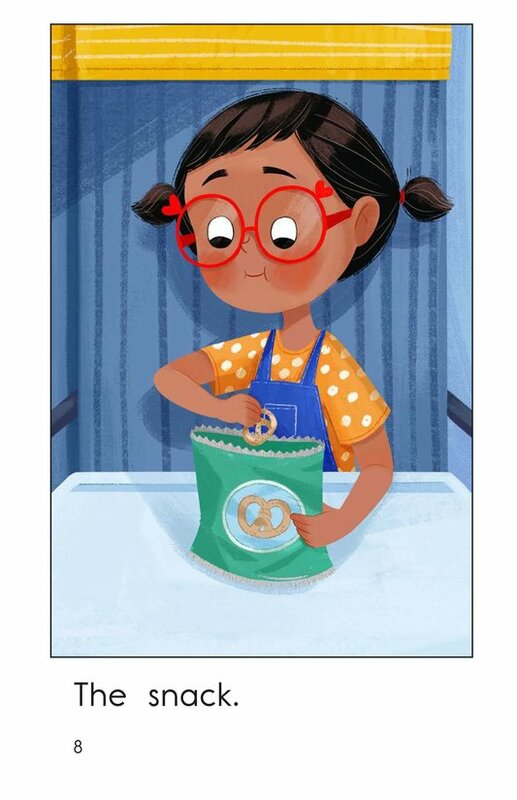 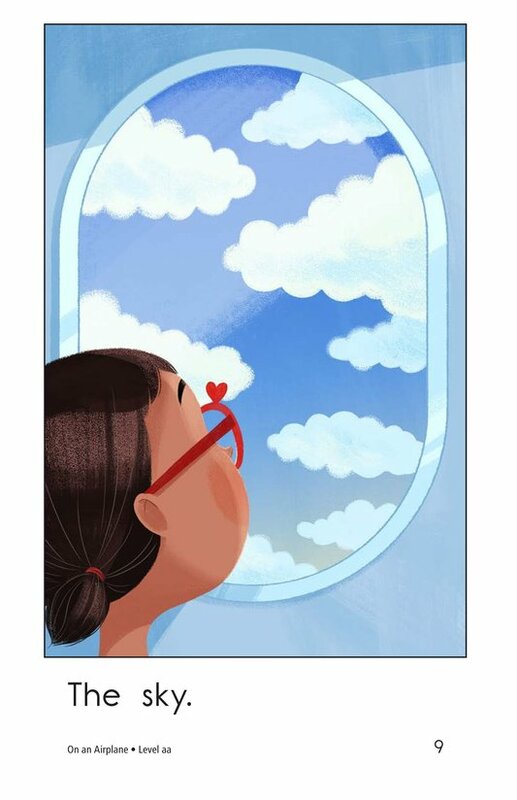 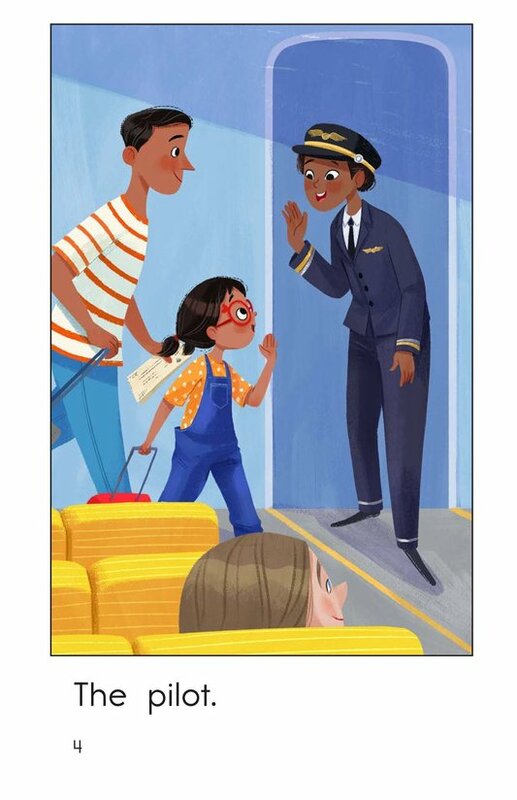 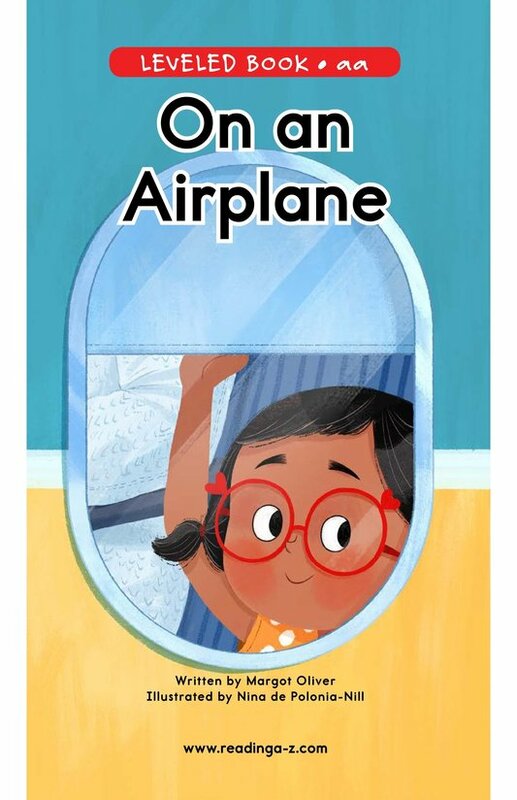 In the book On an Airplane, students read about a girl who embarks on a plane trip with her family. 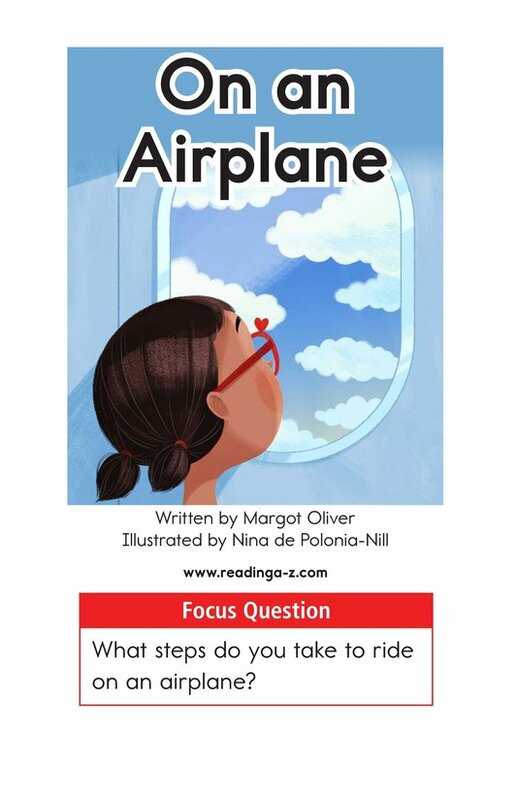 Detailed, supportive illustrations and high-frequency words support early emergent readers. 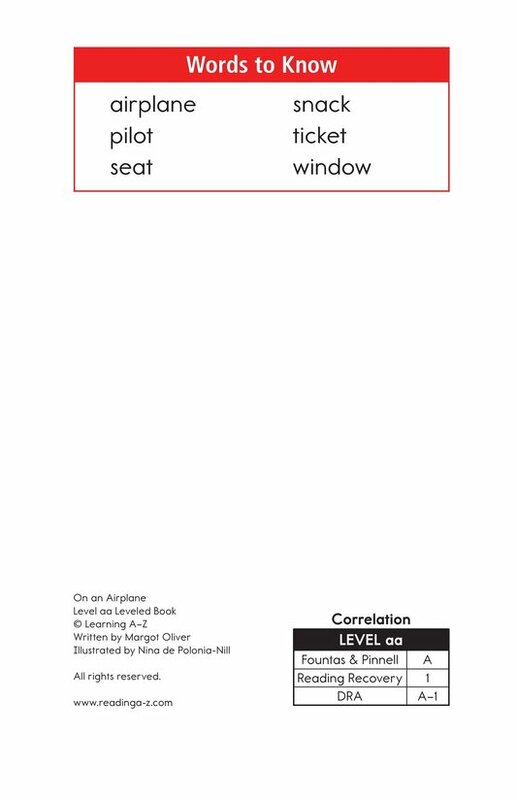 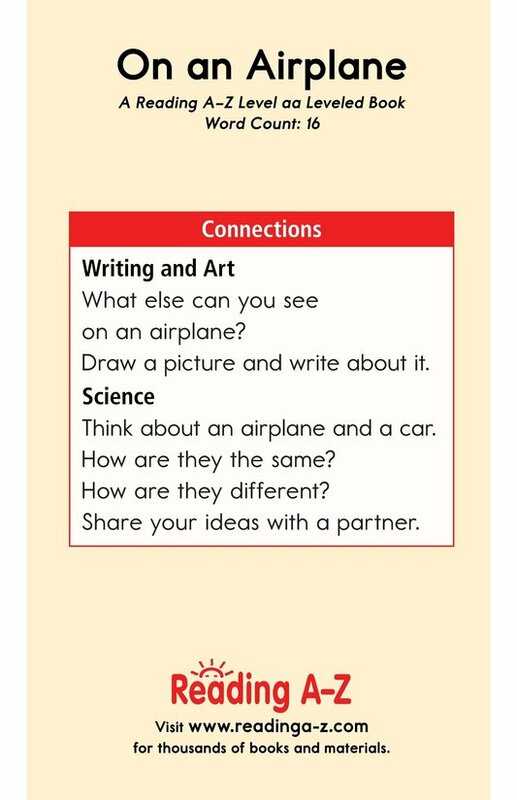 The book can also be used to teach students how to sequence events and to recognize and use nouns.